I’m about to talk about an album that’s SUPER fresh — as in, it just officially came out like 3 days ago (even though it was leaked online August 23). 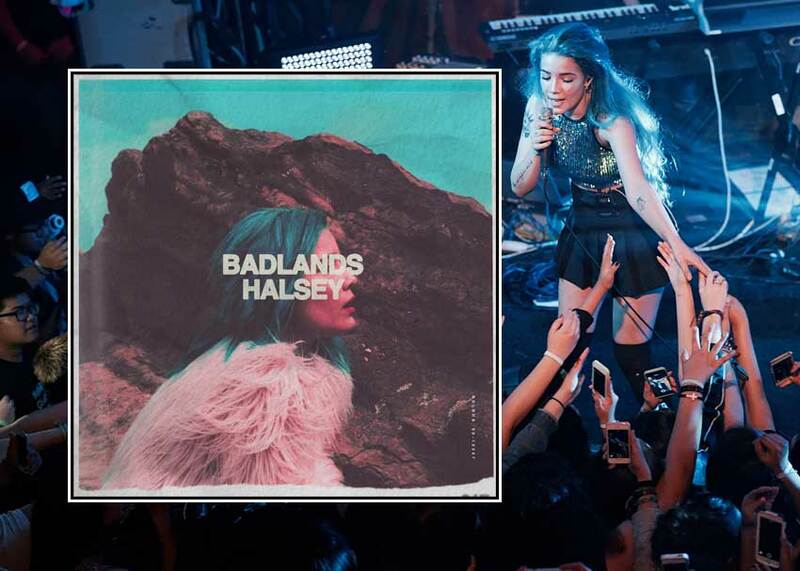 Introducing Halsey’s BADLANDS: an album that will easily become the soundtrack to your last couple of weeks of summer. Halsey — legally named Ashley Frangipane — is a 20-year-old singer from New Jersey with envy-provoking turquoise hair. She’s has been generating some buzz for a while now, ever since she released a video for her song “Ghost” in 2014. She’s even listed in Rolling Stone’s “10 New Artists You Need to Know” list for August. And the more I listen, the more I feel like she’s going to be someone that’ll be hard to ignore. I’ve read in various places that Halsey sounds a lot like Lorde or Ellie Goulding, which I can totally hear. But for some reason (maybe the hair?) I want to add Hayley Williams to that list. If you follow my other blog posts, it’s probably apparent by now that I’m a big fan of electropop — which is probably why I was instantly excited when I gave BADLANDS a listen. I mentioned earlier that I thought BADLANDS was a great album to close the summer with. The bold, gritty lyrics just make you feel like fall is coming. In every interview I’ve read, Frangipane really seems like someone who is wise beyond her years, with a good sense of who she is. So you can guarantee I’m adding Halsey to my follow list! Get the Tone: The Berlin School of Electronic MusicSon Step - "Right Times"